What city is the best in the world for a good fight? In all kinds of sports, there are those venues, stadiums or arenas that are known just for their history, for fans that are crazy (in a positive way), for the team or person they support. Who doesn’t know of the great fans of the Chicago Blackhawks playing on the Madhouse of Madison, the MGM Grand hosting many boxing and UFC events, the Seattle Seahawks fans who get so loud that they can “cause an earthquake?” And of course, we cannot forget the fans of the Chicago Cubs, who still and will continue to cheer the “lovable losers” (even though they may not be losers much longer). If you know me by now from past articles, you know that I am a diehard fan of the Chicago Blackhawks, Cubs, Bears, movies and of course, professional wrestling. Now in wrestling, while the end result maybe pre-determined, the bottom line is that each and every week, whether it’s a live broadcast or a pay-per-view, they still are able to fill up arenas from 15,000 to 80,000 people. A strong crowd is a difference between someone becoming more popular and someone getting fired. 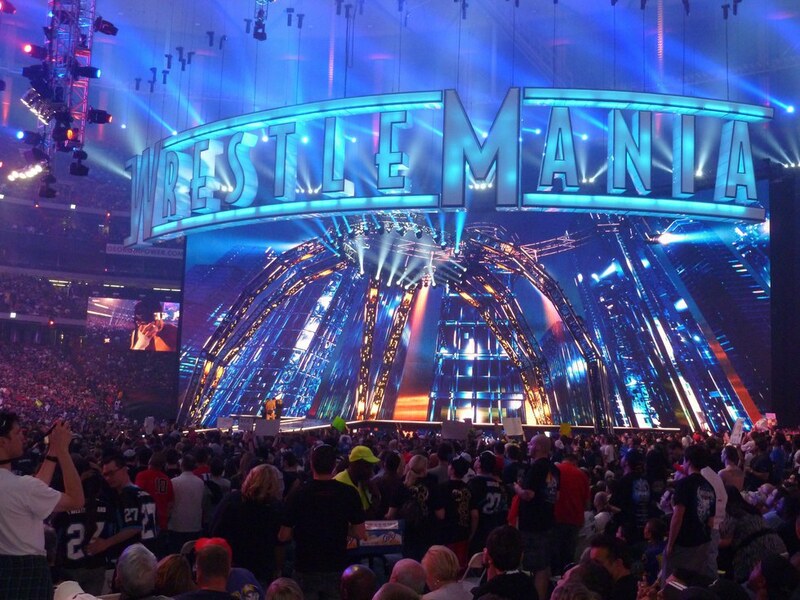 What will be interesting is to see if they can get 100,000 people in AT&T Stadium for WrestleMania 32. Some of the biggest moments in professional wrestling have happened in some of the most famous cities and most famous arenas in the world. Make sure to check out some of the events that are listed in each city on the WWE Network. Here are the top ten best wrestling cities in North America today. The ranking of each city will be based on the crowds reaction, the moments themselves, and of course, the matches that occur in each. 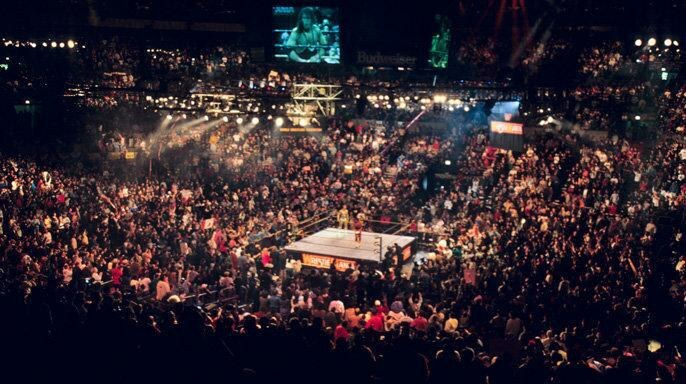 Atlanta, better known in the wrestling community as the home of the former wrestling company known as WCW, has hosted some exciting events before, and ever since the demise of WWE’s rival company in 2001. Right away, everyone will think of Hollywood Hulk Hogan defending the WCW championship against the undefeated Goldberg in the state he was billed from. They fought for the biggest prize in the game inside the Georgia Dome, where over 40,000 came strong to support their hometown hero against the most hated wrestler at the time, plus it was on live TV. 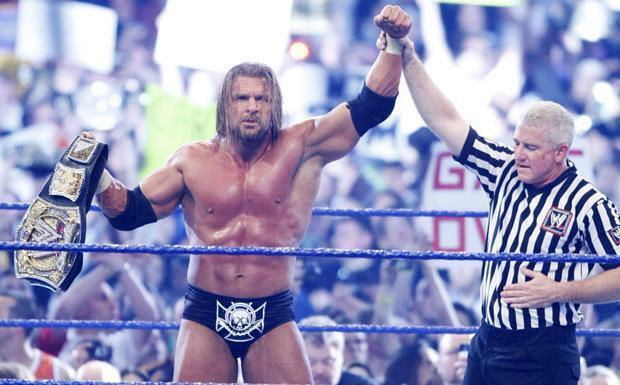 You also cannot forget when Triple H returned from a devastating torn quadricep injury in the 2002 Royal Rumble. Finally, I must mention the night after WrestleMania 27, when The Rock challenged John Cena to the main event of WrestleMania 28 a whole year prior. This was a very risky business move in a profession where injuries are unavoidable. There haven’t been many wrestling events in Montreal, but the city has hosted some of the most controversial moments ever in professional wrestling history. In 1997, WWE was in a full war with WCW for ratings, and it was clear that who ever the loser was would go out of business. Hometown hero, Bret Hitman Hart, was defending his title against Shawn Michaels. The only thing was, Bret was leaving the WWE for WCW because they were paying him more. However, the real problem was that Bret didn’t want to lose the title to Shawn and so he promised the owner, Mr. McMahon, that he would surrender the championship the next night. Mr. McMahon couldn’t take that risk, though, so they did one of the most controversial things ever done in sports history that is still talked about today. Professional wrestling in Texas has been and always will be something that is loved. While it’s not as loved as football, professional wrestling has made its mark in Texas. If you ask people from Texas that love wrestling, nine times out of 10 they will tell you that the Von Erich family was like The Beatles of Texas. There wasn’t a single person who hated them. That family is single-handedly responsible for some of the greatest wrestlers ever. 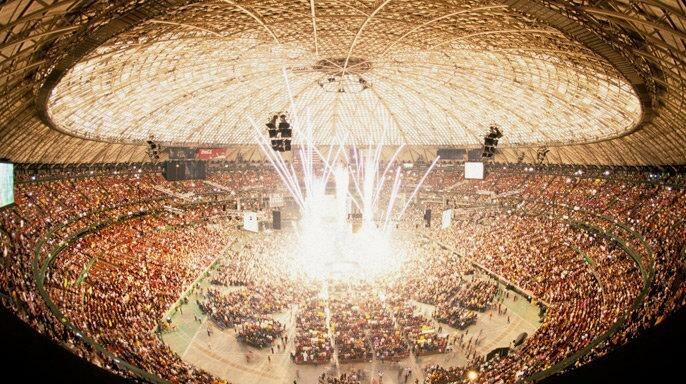 Houston has not hosted many pay per views, but it has hosted some of the greatest matches that have ever taken place in wrestling history. Some of these moments occurred during arguably the greatest wrestling pay per view of all time, WrestleMania 17. While the entire card was stacked with absolute talent, there are two matches that stick out more than the others. First, the triple threat match for the tag team titles between the Hardy Boyz, The Dudley Boyz, and the champions Edge and Christian. This match easily stole the show with multiple tables and chairs being broken and plenty of ladders being jumped off of. If you want to know how a tag team can steal a show, especially the biggest one of the year, then watch this classic. Then onto the main event, arguably the two most popular wrestlers of all time, The Rock, defending his title against Texas hero, Stone Cold Steve Austin, in my favorite of their three main events. Though The Rock got a good reaction from the crowd, Austin got the loudest reaction of the night. His entrance alone will show any non-viewer just how important Austin was to professional wrestling. While some may hate the ending today, at the time, the ending was seen as controversial, however it did make everyone want to know what was going to happen next. Lastly, in 2005, Shawn Michaels took on The Undertaker, who at the time was 16-0. He went into WrestleMania 25 being placed in the middle of the show, which today WWE probably regrets. Mr. WrestleMania and The Phenom, two Texas icons, not only stole the show, but they had what many called the greatest match in WWE history. Boston, Massachusetts TD Garden has always been a great host of the WWE. Their fans have been very vocal (both positively and negatively) about who is in the ring. It’s a very notable crowd, especially when they sometimes even "boo" John Cena, who is from Massachusetts. Right away, a notable show to watch is WrestleMania 14, where The Undertaker took on his brother, the demonic Kane, in a match whose ending the fans could not foresee. Of course, when you think of this WrestleMania, you have to think of the main event between Shawn Michaels, defending his title, against Stone Cold Steve Austin, where he tried to launch the Austin era in wrestling. Now while everyone’s left eye was on the match, everyone’s right eye was on the special enforcer of the match, boxing legend, Iron Mike Tyson. There are other classics in Boston, but my personal favorite was at the Night of Champions pay per view in 2012, when John Cena was taking on WWE champion, CM Punk. At this time, Punk was the number one heel in the company and was on a title reign that hadn’t been seen in 25 years. To make matters worse for the Boston crowd, Punk came out in full Yankee gear just to make them mad. Punk and Cena always had great chemistry in the ring and this is one of their top matches from start to finish. Especially considering both men did things they never did before and never did again. The ending itself is pro wrestling at its finest. The Staples Center has hosted some big moments in the last 15 years. The Staples Center hosted the 21st anniversary of WrestleMania in 2005. They also hosted arguably WWE’s second biggest pay per view, SummerSlam, six straight times in Los Angeles. First, in 2009, when CM Punk faced Jeff Hardy for the world title in a tables, ladders, and chairs match. Also, you cannot forget the absolute classic double main event of SummerSlam 2013 between former UFC heavyweight champion, Brock Lesnar, facing CM Punk in what many called the match of the year in 2013. This was followed by John Cena defending his title against the most popular superstar at the time, Daniel Bryan. Finally, who could forget watching two legends go at it in the most dangerous match the WWE has to offer? I'll never forget when Brock Lesnar took on The Undertaker at the Hell in a Cell pay per view in 2015. With the WWE coming to The City of Angels, you may never know what well-known faces may make an appearance. Some people will say that the Brooklyn crowd is only on the list because of the newly built Barclays Center and it finally being able to give Brooklyn fans wrestling. While some people make decent points, the fact remains that this crowd is just very vocal, passionate, and raucous (in a positive way), that makes any wrestling event even more special. Brooklyn fans of all sports have been known to be very loud in support of the teams or events that they are attending and in the case of professional wrestling, it only makes it even better. The match that many call the greatest women’s match in professional wrestling history took place when WWE’s developmental program, NXT, had a show the night before SummerSlam. Sasha Banks defended her title against her arch rival, Bayley, in a five-star 20 minute classic that made many wrestlers, fans, and even the two women themselves cry from what they had just witnessed. Toronto, like Houston, has hosted two WrestleManias, but in the SkyDome, which can hold around 68,000 people. Toronto is arguably Canada’s best wrestling city, but with that being said, there are two matches in particular that it is most known for. 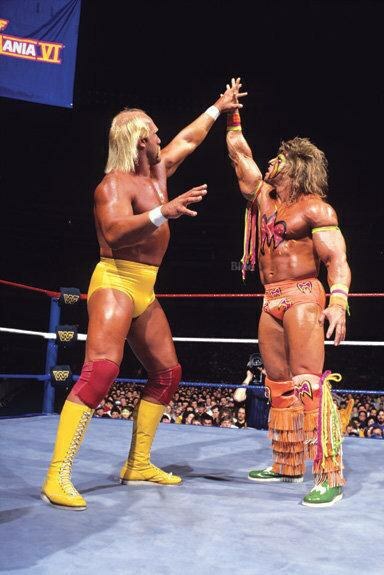 First, at WrestleMania six, Intercontinental champion, The Ultimate Warrior, took on world champion, Hulk Hogan, in a title for title match. During this match, the crowd saw someone that was able to match not only Hogan’s charisma, but his strength as well. Both superstars went back and forth for over 20 minutes and it ultimately ended in a result that nobody had expected; a celebration at the end that showcased the respect both these men had for the business. 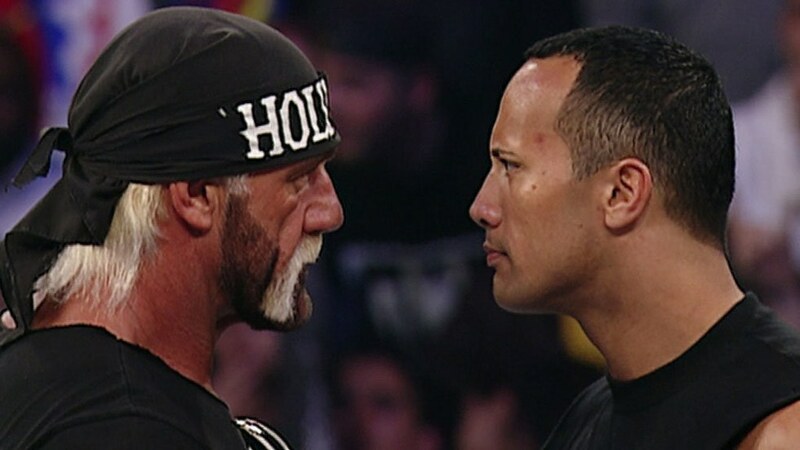 Lastly, at WrestleMania 18, Hulk Hogan returned after an almost 10 year hiatus from the WWE, to take on The Rock in a icon vs. icon match. What to this day surprised many, was how the crowd reacted towards Hogan due to him being the heel. The Rock was arguably the company’s most popular star at the time, but Toronto didn’t care, as they were just happy to see Hulk Hogan put on another classic match. Now most people reading this will more than likely read this twice and ask themselves, "is he out of his mind for putting the 'world's most famous arena' third on his list?". Some wrestling fans will probably ask for me to be removed from this website even. Yes, MSG is arguably one of, if not the most well known arena(s) in the world, but since its renovation, some feel that it has lost the magic that it had for wrestling. Despite that claim, many historians still say that MSG is the home of WWE. Right away, when you think MSG moments, you have to think of when Hulk Hogan took on America’s most hated man, The Iron Sheik, in a classic for the world title, which lead to the birth of Hulkamania. Who could also forget that it's where the inaugural WrestleMania took place in 1985? Or the classic ladder match between Razor Ramon and Mr. WrestleMania himself Shawn Michaels at WrestleMania 10? And let us not forget the 2000 Royal Rumble, where Cactus Jack took on Triple H in a street fight that solidified The Game as a true main eventer. Lastly, no one will ever forget the 2008 Royal Rumble when John Cena made a surprise return in an age where it's impossible to keep a secret (thanks, Internet). The only thing that was more surprising then the WWE hiding Cena’s return, is how he returned to combat after only being out for four months with a torn pectoral muscle—an injury that usually takes six to eight months to recover. Philadelphia is known for perhaps the noisiest and most outspoken crowds in wrestling today. This city was once known for being the home of ECW, the wrestling company years ago that changed the sport of professional wrestling for the better. This great wrestling city has had many great matches where the crowd cheers in approval, but they also will get ten times louder if they disapprove of something. 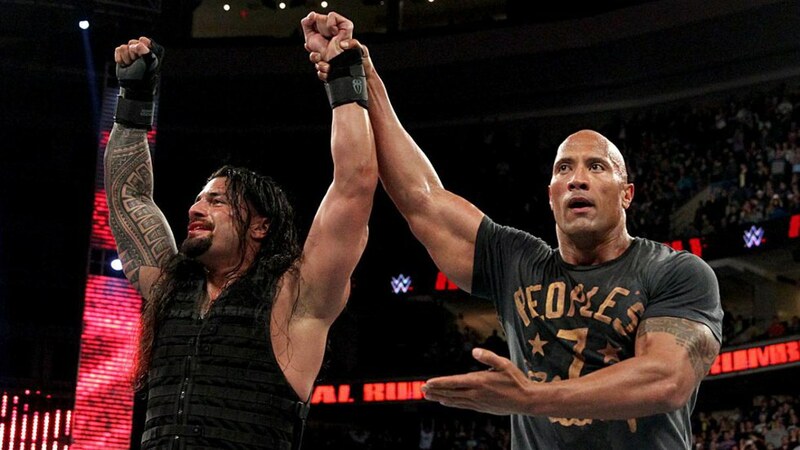 Take for example the 2015 Royal Rumble, when Roman Reigns won the Royal Rumble via some help from The Rock. The crowd didn’t want Reigns to win and even The Rock looked shocked when he raised Reigns hand. The wrestling crowd booed them both out of the building. Some of the other matches and moments to see are The Rock taking on Stone Cold in the first of their three main events at WrestleMania 15 for the world championship, and any ECW program hosted in that city prior to its demise in 2001. Also, Unforgiven 2000 when Stone Cold, after a 10 month absence, returned from major neck surgery as well as John Cena defending his world title against the Worlds Strongest Man, Mark Henry at Money in the Bank 2013. And finally, Roman Reigns going against Sheamus for the championship, after the crowd booed him the last time he was in the city. The arena known formerly as the Rosemont Horizon is now known as the Allstate Arena. Whenever the WWE comes to Chicago, they can always expect the great fans of Illinois to be the loudest, most opinionated, and give the most honest reactions to how they see things. Some of the wrestlers say that Chicago is their favorite city to perform in, including Christian, WWE hall of famer Edge, and even including one of, if not the greatest of all time, Stone Cold Steve Austin. Many credit the wood of the ceiling for making the acoustics of the building much louder and in turn, making the wrestlers more motivated to put on a good performance. Arguably some of the greatest moments in professional wrestling have happened in this building and most of them have set course for new generations to begin, all because of how the crowd reacts. Who could forget The Undertaker in his first main event at a WrestleMania, Shane McMahon jumping off the top of the stage at Backlash 2001, Daniel Bryan cementing himself as a future main eventer at the 2011 Money in the Bank, and former UFC heavyweight champion making his return to the squared circle after a eight year hiatus to take on John Cena. The face of the WWE himself, John Cena, who has had some of his most important moments of his career, both positive and negative, in Chicago, has even said, “It has often been said that New York City is the home of the WWE, but tonight I look around at another sold out crowd here in the Allstate Arena, and I see everywhere the WWE universe loud, proud, and on their feet, not afraid to tell you how they feel...So I say let the world remember this night, I say once again to the world, Remember Chicago!” Therefore, to myself, Chicago is the true home of the WWE today. 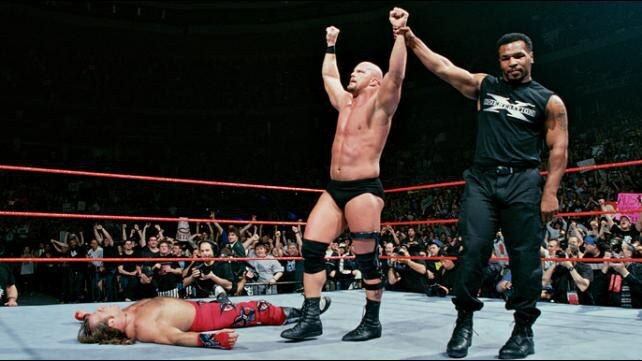 At WrestleMania 13, Bret Hart took on rising star, Stone Cold, who was the company’s top heel at the time, who came out to the crowd exploding in happiness to see the Texas Rattlesnake. This was what some people call the greatest double turn in history, as Bret Hart left that night a heel, and Stone Cold left as a baby face, and undoubtedly the future of WWE was changed forever. Before their epic clash at WrestleMania 18, Hulk Hogan returned to WWE in Chicago to address the crowd about why he came back to the WWE, only to be interrupted by The Rock. He then challenged the immortal one to a match. The crowd never thought they would see Hulk Hogan in a WWE ring again, yet alone face a superstar that was just as big, if not bigger then the Hulkster. Lastly, when you think of Chicago wrestling, right away you have to think of John Cena defending his world championship against hometown hero, CM Punk. Punk dropped a promo that is still talked about today. 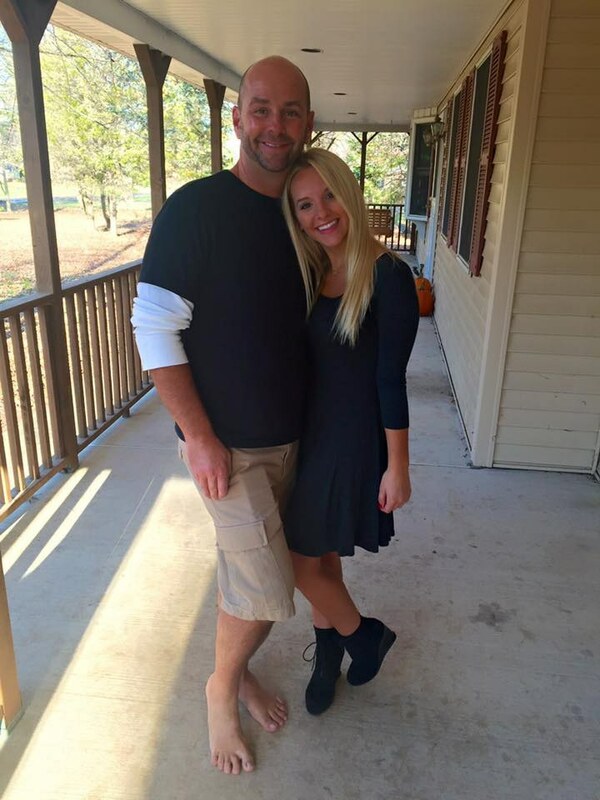 His “pipe bomb” about his unhappiness with the company took the world by storm overnight. Fans, all kinds of media, and everyone who didn’t even watch wrestling heard of how Punk was going to fight for the championship and that he was legitimately leaving the company after, due to his contract expiring. Chicago's crowd cheered and cheered CM Punk’s name, as they couldn’t wait for their hero to come out. When the main event finally came, the entire building was shaking, as CM Punk finally came out to one of the loudest reactions since the days of Stone Cold. 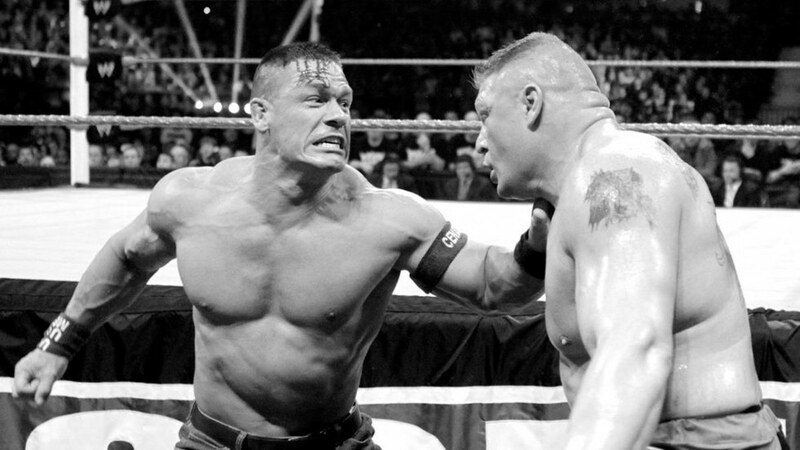 When John Cena came out, he got arguably one of the biggest negative reactions in the history of professional wrestling. What followed was a true five star classic in a nearly forty minute match that kept the entire crowd on their feet the whole time. Seeing this match in person for me was easily my favorite wrestling moment. The emotion of the crowd was back and forth as we all were hoping that the hometown hero would come away with the win. This is a match which we probably will never see the likes of again, but as they say in the wrestling business... never say never.